Some of Prince's closest confidants had grown increasingly alarmed about his health in the days before he died and tried to get him help as they realized he had an opioid addiction — yet none were able to give investigators the insight they needed to determine where the musician got the fentanyl that killed him, according to investigative documents released Thursday. Just ahead of this weekend's two-year anniversary of Prince's death, prosecutors announced they would file no criminal charges in the case and the state investigation was closed. "My focus was lasered in on trying to find out who provided that fentanyl, and we just don't know where he got it," said Carver County Attorney Mark Metz. "We may never know. ... It's pretty clear from the evidence that he did not know, and the people around him didn't know, that he was taking fentanyl." The investigative materials — including documents , photos and videos — were posted online Thursday afternoon. Several images show the music superstar's body on the floor of his Paisley Park estate, near an elevator. He is on his back, his head on the floor, eyes closed. His right hand is on his stomach and left arm on the floor. The documents include interviews with Prince's inner circle. That included longtime friend and bodyguard Kirk Johnson, who told investigators that he had noticed Prince "looking just a little frail," but said he did not realize he had an opioid addiction until he passed out on a plane a week before he died. "It started to all making sense though, just his behavior sometimes and change of mood and I'm like oh this is what, I think this is what's going on, that's why I took the initiative and said let's go to my doctor because you haven't been to the doctor, let's check it all out," Johnson said, according to a transcript of an interview with investigators. 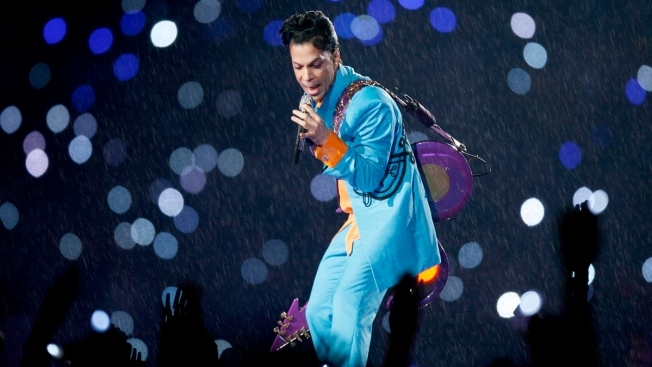 Johnson said after that episode, Prince canceled some concerts as friends urged him to rest. Johnson also said that Prince "said he wanted to talk to somebody" about his addiction. Johnson asked his own doctor, Michael Todd Schulenberg, to see Prince on April 7, 2016. Schulenberg told authorities he gave Prince an IV; authorities said he also prescribed Vitamin D and a nausea medication — under Johnson's name. Johnson then called Schulenberg on April 14, asking the doctor to prescribe a pain medication for Prince's hip. Schulenberg did so, again under Johnson's name, Metz said. A paramedic told a police detective that after the second shot of naloxone, Prince "took a large gasp and woke up," according to the investigative documents. He said Prince told paramedics, "I feel all fuzzy." A nurse at the hospital where Prince was taken for monitoring told detectives that he refused routine overdose testing that would have included blood and urine tests. When asked what he had taken, he didn't say what it was, but that "someone gave it to him to relax." Other documents say Prince said he took one or two pills. On that day, Schulenberg saw Prince and ran some tests and prescribed other medications to help him. A urinalysis came back positive for opioids. That same day, Paisley Park staffers contacted California addiction specialist Dr. Howard Kornfeld. The doctor sent his son, Andrew, to Minnesota that night, and the younger Kornfeld was among those who found Prince's body. Andrew Kornfeld was carrying buprenorphine, a medication that can be used to help treat opioid addiction. The documents also show that Prince's closest confidants knew he was a private person and tried to respect that, with Johnson saying: "That's what pisses me off cause it's like man, how did he hide this so well?" Metz said some of Prince's friends might have enabled him as they tried to protect him. "There is no doubt that the actions of individuals will be criticized, questioned and judged in the days and weeks to come," Metz said. "But suspicions and innuendo are categorically insufficient to support any criminal charges." The U.S. attorney's office also said Thursday it had no credible evidence that would lead to federal criminal charges. A law enforcement official close to the investigation told The Associated Press that the federal investigation is now inactive unless new information emerges. The official spoke on condition of anonymity because the federal case remains open. But federal authorities announced that Schulenberg had agreed to pay $30,000 to settle a civil violation from the allegation that he illegally prescribed the opioid oxycodone for Prince in Johnson's name. Schulenberg admitted to no facts or liability in the settlement, which includes stricter monitoring of his prescribing practices, and authorities said he is not the target of a criminal investigation. Oxycodone, the generic name for the active ingredient in OxyContin, was not listed as a cause of Prince's death. But it is part of a family of painkillers driving the nation's addiction and overdose epidemic, according to the Centers for Disease Control and Prevention. Nearly 2 million Americans abused or were addicted to prescription opioids, including oxycodone, in 2014. The underground market for counterfeit prescription pain pills is brisk and can be highly anonymous, said Carol Falkowski, CEO of Drug Abuse Dialogues, a Minnesota-based drug abuse training and consulting organization. Buyers often don't know who they're dealing with or what's in the drugs they purchase, she said. The likelihood of people buying pain pills on the street or online that turn out to be counterfeits laced with fentanyl is "extremely high," said Traci Green, a Boston University Medical Center epidemiologist who focuses on the opioid epidemic. Associated Press writers Steve Karnowski, Doug Glass, Ryan J. Foley and Tammy Webber contributed this report.